Social media is everywhere. Everyone – from your great aunt to your college roommate to your next-door neighbor –is logging on to sites like Facebook, Twitter and Instagram. Uploading pictures. Posting links and videos. Sharing stories. Social media is practically universal. And that means that your kids will inevitably encounter it – whether you want them to or not. 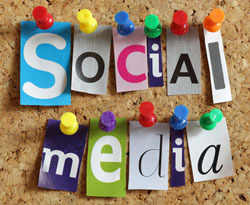 73% of teens age 12-17 use social networking sites, and more than 5 million Facebook users are under the age of 10. If your kids are even thinking about logging on, you need to talk to them about it. Introducing your children to social media can help open up channels for discussion. Your children will be more honest about what they do online, and they’ll feel more comfortable coming to you with issues. Here are some dos and don’ts for introducing your kids to social media. Some parents forbid their children from all social media sites because of security and privacy concerns. They’re right to be concerned, of course – but total prohibition may not be the best route to take. Whether it’s at school or at a friend’s house, your children will be exposed to social media at some point. If they’ve heard about it from you first, they’ll know how to use it – how to avoid inappropriate content, how to follow rules and what they should and should not post. Introducing your kids to social media is one thing. Letting them have unlimited, unrestrained access to social media is another. It’s best to put some restrictions on your kids’ social media use. Too much time spent on social media can take time and attention away from schoolwork, family activities and friends in the real world. Put a reasonable time limit on your children’s social media access – half an hour a day is more than enough. You should also limit the sites your children are allowed to go on. Some sites have better privacy settings than others – and some social media networks are meant just for kids. Social media can be a great outlet for kids to connect with friends and family. But social media sites are also popular places for cyber bullying, online predators and identity theft. Make sure your children know that their “friends” on social media sites aren’t necessarily their friends. Teach them how to recognize online threats – and how to keep themselves safe online. Make sure they know not to post personal information, like their full name, birthdate, address or school. Make sure they upload only appropriate pictures and posts. Allow them to connect online only with people they – and you – know in the real world. It’s crucial to monitor your children’s social media use. Know what sites they use, what they post, who they talk to and how often they sign on. It’s easiest to monitor on a home computer that you can keep in a public area, but don’t forget about mobile devices. These days, Kids can access social media sites on any Internet-connected device – smartphones, tablets, laptops and even gaming consoles. It’s important that your children know that social media rules apply on any device – and it’s even more important that you monitor their use. If they use mobile devices when you’re not around – like at school or at friends’ houses – install parental control apps. Your children should know the ins and outs of social media use and online safety. But in the end, you’re the adult, and you’re responsible for their protection. Take necessary precautions to keep your children safe on social media. Get an Internet security plan (you may already have one installed via your Internet service provider) that allows you to set parental controls, block certain websites and keywords and limit the time your kids spend online. Research the sites your children use, and make sure your kids are using all available privacy settings. Have your kids set secure passwords for their accounts, and make sure you know what their passwords are. The most important precaution you can take? Talking to your kids about social media. They’ll be safer, and you’ll be more at ease. Rose Haywood is an Internet tech blogger, business marketing student and advocate for equal access broadband initiatives. She hails proudly from Asheville, NC but resides for the time being right outside of Atlanta, GA. Feel free to reach out to her directly via twitter.